Fulfilling a promise from last year's election campaign, Brazilian President Jair Bolsonaro announced on Thursday the expansion of a social welfare program that was created by Luiz Inacio Lula da Silva, his jailed left-wing foe. Brazil's right-wing President Jair Bolsonaro announced Thursday an expansion of a social welfare program that was created by his jailed left-wing foe Luiz Inacio Lula da Silva. The more than 14 million recipients of the "Bolsa Familia" or "Family Fund" will get a 13th month payment, Bolsonaro said at a ceremony celebrating his first 100 days in office. 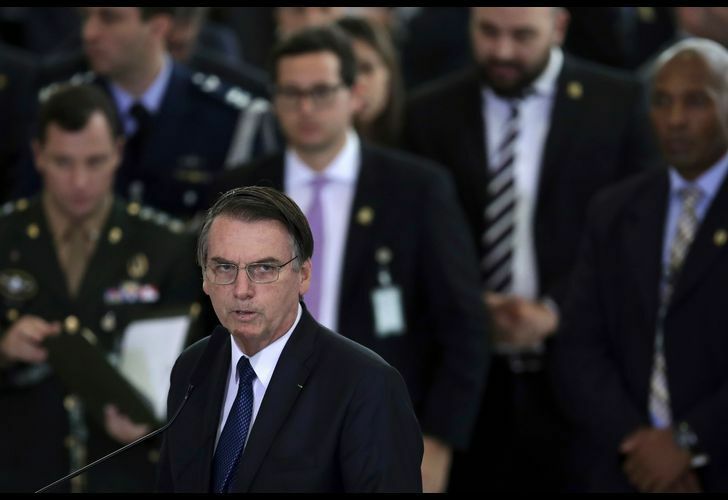 The expansion of the program, which Bolsonaro had promised during last year's election campaign, will cost 2.58 billion reais ($680 million). The monthly payments for the country's poorest, introduced by former leftist president Lula at the beginning of his first term in 2003, average 186 reais and are contingent on the family sending their children to school. Lula, who has been sentenced to 25 years behind bars in two separate corruption cases, marked his first year in jail on April 7. Bolsonaro is a strident critic of Lula, a leftist icon. Lula has denied all the charges against him, claiming they were politically motivated with the aim of preventing him competing in elections last year that Bolsonaro won. During his election campaign, Bolsonaro said he hoped Lula would "rot in prison."